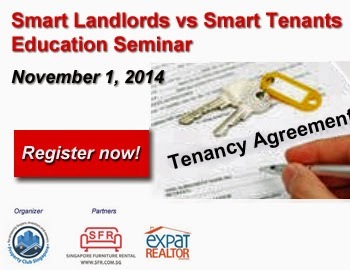 After running a full house for their last education seminar, Property Club Singaporewill be holding another one entitled "Smart Landlords vs Smart Tenants". The event will be held on November 1, 2014 (Saturday) at NTUC Centre. Click on link below for more details about the upcoming seminar and how to register for the event. No Comment to " Another educational seminar brought to you by Property Club Singapore... "